With more than 14 years of securities litigation experience, Marisa N. DeMato advises leading pension funds and other institutional investors in the United States and Canada on issues related to corporate fraud in the U.S. securities markets and represents them in complex civil actions. Her work focuses on counseling clients on best practices in corporate governance of publicly traded companies and advising institutional investors on monitoring the well-being of their investments. Marisa also advises and counsels municipalities and health plans on issues related to U.S. antitrust law and potential violations. Recently, Marisa represented Seattle City Employees' Retirement System and helped reach a $90 million derivative settlement and historic corporate governance changes with Twenty-First Century Fox, Inc., regarding allegations surrounding workplace harassment incidents at Fox News. Marisa also represented the Oklahoma Firefighters Pension and Retirement System in securing a $9.5 million settlement with Castlight Health, Inc. for securities violations in connection with the company’s initial public offering. She also served as legal adviser to the West Palm Beach Police Pension Fund in In re Walgreen Co. Derivative Litigation, which secured significant corporate governance reforms and required Walgreens to extend its Drug Enforcement Agency commitments as part of the settlement related to the company’s violation of the U.S. Controlled Substances Act. 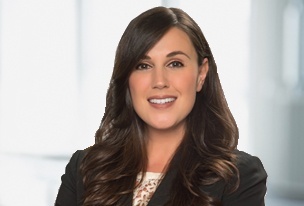 Prior to joining Labaton Sucharow, Marisa worked for a nationally recognized securities litigation firm and devoted a substantial portion of her time to litigating securities fraud, derivative, mergers and acquisitions, and consumer fraud. Over the course of those eight years she represented numerous pension funds, municipalities, and individual investors throughout the United States and was an integral member of the legal teams that helped secure multimillion dollar settlements, including In re Managed Care Litigation ($135 million recovery); Cornwell v. Credit Suisse Group ($70 million recovery); Michael v. SFBC International, Inc. ($28.5 million recovery); Ross v. Career Education Corporation ($27.5 million recovery); and Village of Dolton v. Taser International Inc. ($20 million recovery). Marisa has spoken on shareholder litigation-related matters, frequently lecturing on topics pertaining to securities fraud litigation, fiduciary responsibility, and corporate governance issues. Most recently, she testified before the Texas House of Representatives Pensions Committee to address the changing legal landscape public pensions have faced since the Supreme Court’s Morrison decision and highlighted the best practices for non-U.S. investment recovery. During the 2008 financial crisis, Marisa spoke widely on the subprime mortgage crisis and its disastrous effect on the pension fund community at regional and national conferences, and addressed the crisis’ global implications and related fraud to institutional investors internationally in Italy, France, and the United Kingdom. Marisa has also presented on issues pertaining to the federal regulatory response to the 2008 crisis, including implications of the Dodd-Frank legislation and the national debate on executive compensation and proxy access for shareholders. Marisa is an active member of the National Association of Public Pension Attorneys (NAPPA) and also a member of the Federal Bar Council, an organization of lawyers dedicated to promoting excellence in federal practice and fellowship among federal practitioners. Marisa has also become one of the leading advocates for institutional investing in women and minority-owned investment firms. In 2018, she served as co-chair of the Firm’s first annual Women’s Initiative forum focusing on institutional investing in women and minority-owned investment firms. Marisa was instrumental in the development and execution of the programming for the inaugural event, which featured two all-female panels, and was praised by attendees for offering an insightful discussion on how pension funds and other institutional investors can provide opportunities for women and minority-owned firms. In the spring of 2006, Marisa was selected over 250,000 applicants to appear on the sixth season of The Apprentice, which aired on January 7, 2007, on NBC. As a result of her role on The Apprentice, Marisa has appeared in numerous news media outlets, such as The Wall Street Journal, People magazine, and various national legal journals. *Marisa is admitted to the District of Columbia and Florida Bars. Ronge v. Camping World Holdings, Inc.
City of Monroe Employees’ Retirement System v Murdoch et al.